Attention college tennis fans. 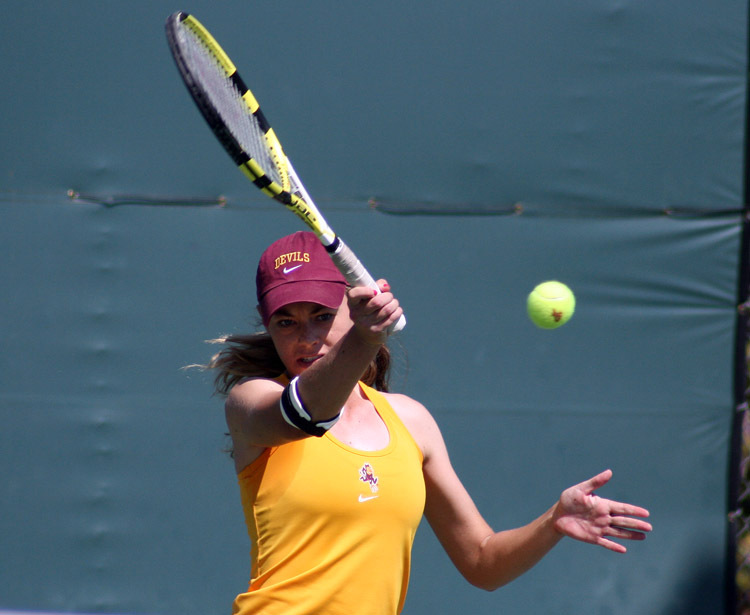 Come out and support your area's college women’s teams with USTA Campus Kids Day! USTA Campus Kids Days are designed to expose more junior players (and their parents and coaches) to college tennis varsity team matches. College coaches select team matches that members of the local community are encouraged to attend. Food and refreshments will be provided for all attending and fans will be encouraged to participate in a variety of promotional activities such as raffles, contests, racquet stenciling, autograph signings, clinics, etc. Attendance, food, refreshments, and promotions are free! Check out a schedule of events below of activities to come out and enjoy some great women’s college tennis. At Whiteman Tennis Center, Tempe, Ariz. - 1:30 p.m..